The UK government on Tuesday was preparing to defend the corporation tax policies of such jurisdictions such as Jersey, Guernsey and the Cayman Islands at an Ecofin meeting in Brussels, in the face of EU pressure to label countries with zero corporation tax rates as “non cooperative” for purposes of blacklisting. Representing the UK’s position was David Gauke, chief secretary to the Treasury, who, while in opposition in the early 2000s, criticised the idea of zero 10 corporation tax regimes. The proposals at issue in today’s meeting were published by the European Commission in January, when they were presented as “concrete measures to prevent aggressive tax planning, boost tax transparency and create a level playing field for all businesses in the EU”. They also come after a vow by the EU to draw up a list of tax havens in the wake of the “Panama Papers” revelations earlier this year. One of the key measures proposed is a so-called Anti Tax Avoidance Directive, which would implement six legally binding anti-abuse measures which, the proposals state, “all Member States should apply against common forms of aggressive tax planning”. Putting aside the potential implications of the UK being outside the EU following Brexit and what this means in terms of anti-avoidance measures that are legally binding on the remaining EU27, the directive would aim “to create a minimum level of protection against corporate tax avoidance throughout the EU, while ensuring a fairer and more stable environment for businesses”. It is in this context that the discussion around corporation tax rates and “non cooperation” of other jurisdictions has arisen. Member states such as France and Germany were reported ahead of the latest meeting of the Economic and Financial Affairs Council to be pushing for a definition that would mean ex-EU jurisdictions adopting a zero corporation tax rate were therefore be in breach of the screening rules, and thus should be put on an EU blacklist of countries that are deemed to be “non cooperative” in providing sufficient levels of financial transparency intended to combat financial crime – particularly in light of OECD-member agreed moves towards greater sharing of tax information via the Common Reporting Standard. However, as previously noted by International Investment, the EU has run into challenges to its earlier definitions for blacklisting countries, including criticism from the OECD itself, which noted that some of the jurisdictions that have previously been highlighted by the EU were in fact signed up to improved transparency standards. The UK government’s current stance of defending its Crown Dependencies’ and Overseas Territories’ abilities to set their own corporate tax rates, which are deemed to be beyond the scope of the EU – indeed, even within the EU, fiscal harmonisation is not yet a core proposition of the Union – comes despite its own chief secretary to the Treasury, David Gauke’s past criticism of zero rate corporation tax when in opposition. According to Hansard, the record of all UK Parliamentary debates, Gauke’s criticism of zero-10 regimes came during the the early 2000s, when the zero rate of tax was proposed as a means that the government could use to foster entrepreneurship. During parliamentary discussions, however, critics, including Gauke, warned that such a tax regime lent itself to mis-use by small businesses merely interested in avoiding the need to pay tax. According to a Hansard report of this time, Gauke said: “Do the Government acknowledge that their previous approach to the zero rate of corporation tax was wrong? It undoubtedly created an incentive for small businesses to incorporate, and there was a substantial increase in incorporations. “In 2001, 220,000 companies were incorporated; by 2003, the number had risen to 397,000. “Undoubtedly, the zero rate of corporation tax contributed to that. As to the point made by the Hon. Member for Wolverhampton, South-West (Rob Marris) in an earlier intervention about the need to disaggregate incorporations between companies and limited liability partnerships, I happen to have the numbers to hand. “In fact, limited liability partnerships have made a very small contribution. In 2005-06, there were 6,570 incorporations for LLPs, whereas there were 372,000 for limited companies. Also to be discussed today in Brussels nnounced by the Council meeting on 8 November was in regards to tax authorities, which will be able to access information on the beneficial ownership of companies starting 1 January 2018. The decision to push for regulation in this area was highlighted by the publication of the Panama Papers, which showed how offshore funds were being used to hide wealth. 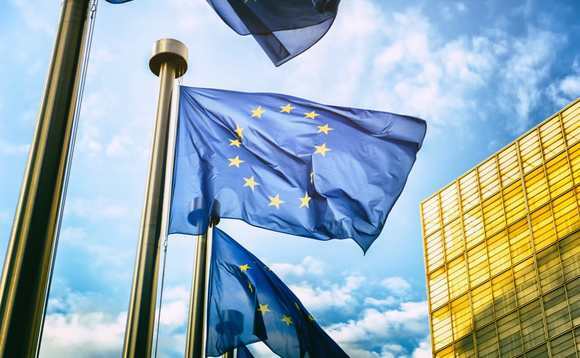 Tellingly, the official statement from Brussels notes that “agreement was reached at a meeting of the Economic and Financial Affairs Council, without discussion,” which suggests that the UK on this point agrees with other EU states on the need to push ex-EU jurisdictions into providing the automated tax information needed to identify the beneficiaries of any offshore funds.